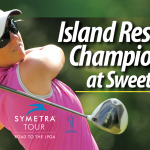 (HARRIS, Mich.) – The 2016 LPGA Symetra Tour Island Resort Championship at Sweetgrass Golf Club will be held June 24-26, with all proceeds going to local non-profit organizations. 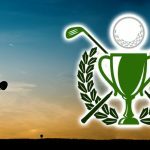 This is the sixth consecutive year the professional golf tournament will be held at Island Resort and Casino’s award-winning Sweetgrass. The Symetra Tour “Road to the LPGA” is the world’s largest international women’s development tour and provides fans a front-row seat to watch rising stars of the game. Former Symetra Tour players have won hundreds of LPGA titles, including dozens of major championships. Dani Holmqvist won the 2015 IRC Championship with a 10-under-par total of 206 (rounds of 67-69-70), and she earned full LPGA Tour playing privileges with her season-long performance. Holmqvist had to sink a tough, 6-foot par putt on the 72nd hole to capture the IRC title. Three-day grounds passes to the 54-hole event are $10 and include entry into daily prize drawings. Children 17 years old and under are admitted free with a paying adult. 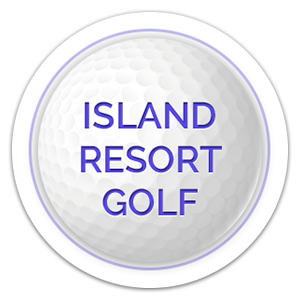 Tickets are available at Island Resort & Casino and at local organizations such as the Delta County Junior Golf Association and the NCA Guarantee Scholarship Fund. For a complete list of where to get tickets click here. Consistently rated one of Michigan’s top layouts by Golfweek “America’s Best Courses You Can Play” by state – Sweetgrass will host a field of 144 players competing for a $125,000 purse. The Island Resort Championship is also part of the Potawatomi Cup, a series of tournaments involving courses with Native American Indian or Potawatomi tribal ties. The Symetra Tour – Road to the LPGA, is the official Qualifying Tour for the LPGA and enters its 36th competitive season in 2015. With the continued support of its umbrella sponsor, Symetra, the Tour’s mission is to prepare the world’s best young women professional golfers for a successful career on the LPGA Tour. Top-10 money winners receive full, equal status for the following season on the LPGA Tour. The 2016 schedule includes two dozen tournaments throughout the U.S. states and a total purse approaching $3 million. Symetra Tour events have contributed more than $5 million to charitable organizations throughout the nation since 1989.